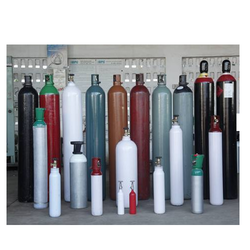 We are a leading Wholesale Trader of ultra high purity gases from Mumbai, India. We also offer Ultra High Purity Gases specifically designed for the diagnostic user is our specialty in the supply of gases that contain the lowest levels of noteworthy impurities available in the market.The superior performance of ultra-high purity gases is also used inline applications at inlet pressures. Looking for Ultra High Purity Gases ?